OnePlus has gained massive success within a short span of time, the reason? Great phones at great prices. Every new model of OnePlus' smartphone is a big hit but what about the OnePlus 6? Check it out in our review. After much anticipation, OnePlus 6 has been finally launched in India. The new handset features the latest Snapdragon 845 processor, 19:9 display with 84 percent screen-to-body ratio, glass body, water resistance, smooth OxygenOS based on Android Oreo and the option to upgrade to latest Android P Beta update. 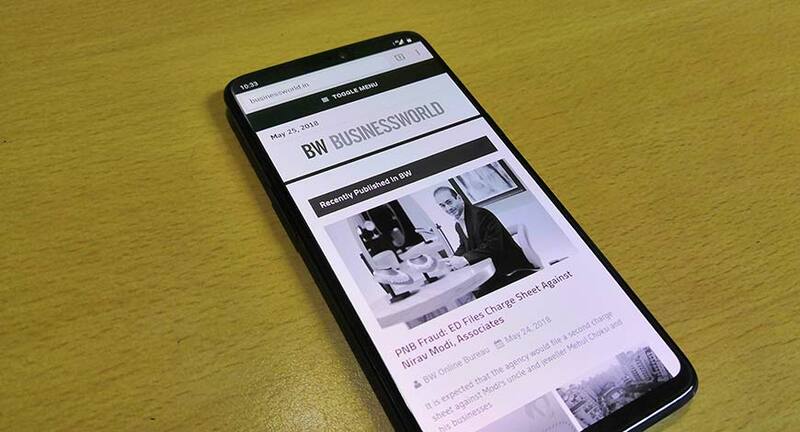 Just like most of the Android smartphones, OnePlus 6 inherits the iPhone X’s notch design which in my opinion is a smart move because it makes way for extra screen space (84 % screen-to-body ratio) to the user without increasing the body size. 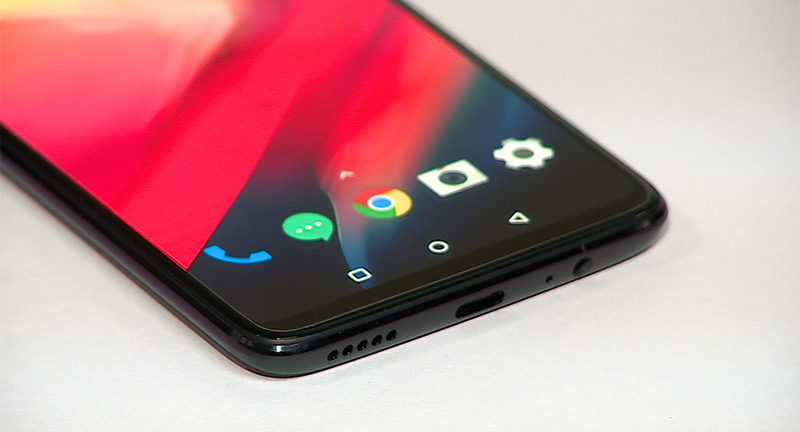 The front panel of OnePlus 6 is entirely screen with a tiny notch (which houses front camera and a bunch of sensors), small chin and thin bezels on both sides. With OnePlus 6, the company has gone with glass body which gives it premium look. Plus the company has used Corning Gorilla Glass 5 on both front and back of the phone to prevent scratches. Scratches prevented, but what about the smudges which the phone’s back get when we are holding it? There’s nothing much you can do about it other than using a cover which thankfully OnePlus ships with the OnePlus 6. The unit I got was the Mirror Black one which truly is a fingerprint magnet and looks like a black mirror when you hold it. Those who don’t prefer the much reflective Mirror Black variant, there’s something else for you too. There’s midnight black variant which has a matte finish, Silk White variant which is coated with pearl powder to create subtle shimmering effect. These two variants aren’t much prone to smudges as the Mirror black one, but they are available only with the higher 128GB model. Due to its bigger screen size, you won’t be able to operate it with single hand. Also, I found OnePlus 6 on a heavier side, it weighs 177 grams. On the other hand, OnePlus 5T weighed 162 grams only. The alert slider has now includes a silent mode instead of Do Not Disturb mode has moved at the right side above the power button. The dual-SIM tray and volume buttons sit on the left side. The alert slider is something which I would urge every smartphone company should implement on their phones, this feature is extremely useful where you can switch between silent, vibrate or ring mode according to your preference. At the bottom sits a mono speaker, USB 2.0 port and a 3.5mm headphone-jack (Yesss!). Well, it’s great that OnePlus is sticking with a headphone jack but a flagship phone in 2018 must include stereo speakers. 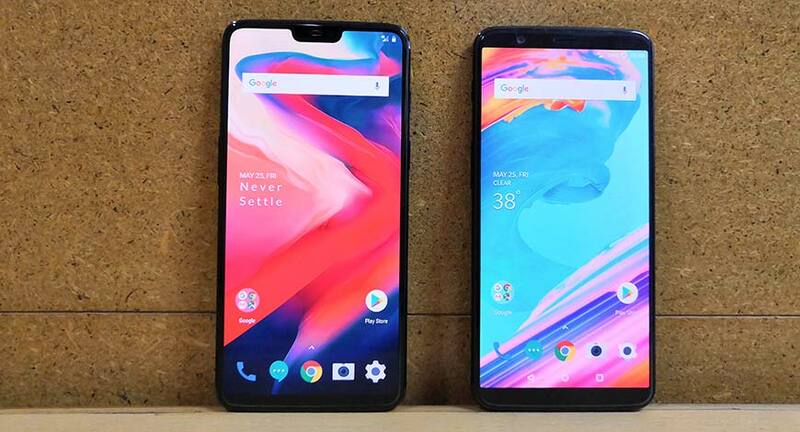 Also Read: OnePlus 6 vs OnePlus 5T: What’s New? This time the location of camera module has also changed; it is now vertically aligned and sits at top centre of the phone. The snappy fingerprint sensor is just below the camera and gets a new oval shape, similar to Samsung Galaxy S9’s. The major feature missing from last year’s OnePlus 5T was an official IP rating for waterproof body. This year’s OnePlus 6 too is not IP certified for waterproofing but the handset maker says they have used waterproofed materials and filled the gaps around buttons with silicone loops to prevent it from damaging. Though it can survive rain or water spillage and the company themselves advice users not to go swimming with your phone. Last year Chinese handset maker launched OnePlus 5T after only a gap of five months of OP 5 launch. Why? Just to follow up with the design trend of 2017, the 18:9 ratio displays. 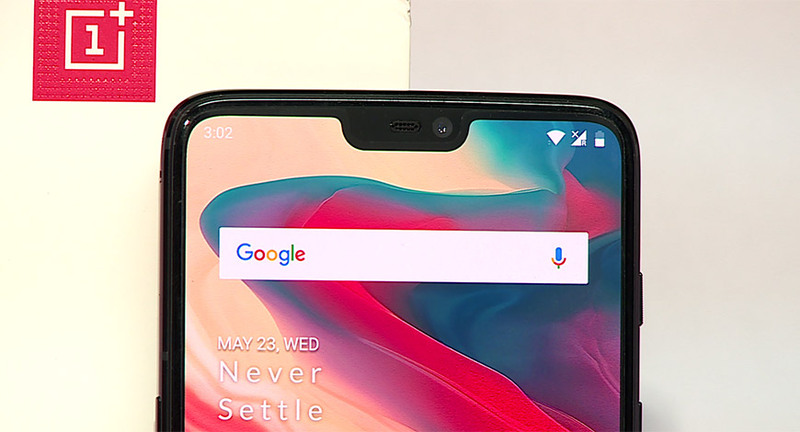 This year OnePlus is spot on with the 2018 design trend, which is the Notch. Does this mean there will not be a OnePlus 6T launch this November?? Well, let’s leave that for the company to decide what they find very interesting that they can’t wait to offer us. For the notch haters, there is also an option to hide the notch in Settings which turns the display black on both sides of the notch. The handset features a 6.28-inches FHD+ (2280x1080) optic AMOLED display with 19:9 aspect ratio. The screen is vibrant, sharp, has great viewing angles and good amount of brightness to use under direct sunlight. The 2280x1080 screen resolution is below QHD displays which are common in high-end smartphones now but the difference is hardly noticeable. OnePlus offers options to switch between night mode and reading mode which turns the display into a monochrome screen like Amazon Kindle. You can change screen calibration which includes sRGB and DCI-P3 which have colour accuracy and display wide-range of colours. There is also an option to set the colour temperature of the display which you can tune according to your liking. OnePlus 6 runs on OxygenOS based on Android 8.1 Oreo. OnePlus has a good reputation of proving latest software with timely updates which they are keeping that ways with the OnePlus 6 too. You can even try the recently announced Android P Beta update on this phone. 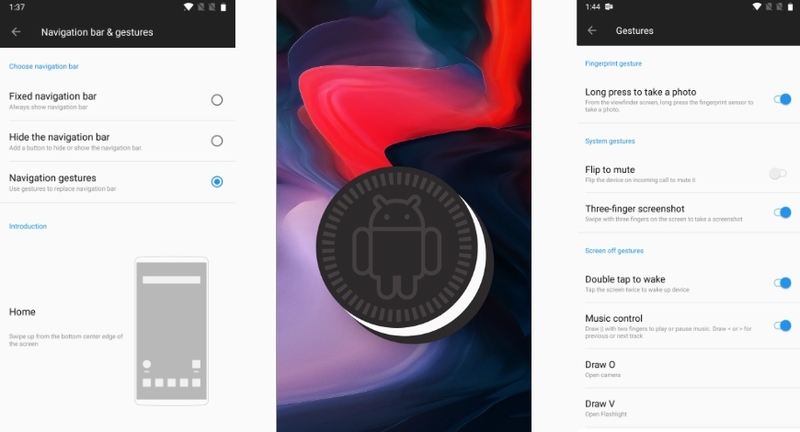 The company announced that Android P Beta update will be available for OnePlus 6 users even before the phone was launched. OxygenOS is smooth and offers a near stock Android experience without much bloatware. As OnePlus has opted the notch design for OnePlus 6 to give users more screen space, they have also added a gesture control system just like iPhone X with which you can navigate into your phone. By default, the phone comes with on-screen navigation buttons which can be changed through Settings. For Home, swipe up from the bottom center edge of the screen; for recent apps, swipe up from the bottom centre edge of screen and pause; for back, swipe up from the left or right side of the bottom of the screen. There is new Gaming mode which every gamer is going to thank OnePlus. With the gaming mode on, your calls can automatically route to speaker. You can block notifications other than calls and alarms. There is also an option to limit network usage of other apps. There are many other features of OxygenOS which OnePlus 5 and 5T users might be familiar with. You can click pictures by long pressing the fingerprint sensor which comes handy while taking selfies. Users can take screenshots by swiping on the screen with three fingers. There also are screen off gestures which you can use without waking up the screen like Draw ‘O’ to open camera or Draw ‘V’ to open flashlight. Users can also pause or play music by Drawing ‘II’ with two fingers. To play previous or next track, draw < and > on the screen. If you have more than one Facebook, Twitter or Whatsapp account, you can use both accounts by using Parallel Apps. One thing where OnePlus 6 can truly win over any other smartphone is its snappy performance. It is powered by the latest Qualcomm Snapdragon 845 processor which has eight Kryo 385 cores, Adreno 630 GPU, faster connectivity, improved AI performance and brings better photography performance. Just like the previous year’s OnePlus smartphones, OnePlus 6 also comes in two RAM+Storage configurations which include 6GB+64GB and 8GB+128GB. Also, there is no MicroSD card slot and option for expandable storage is not available. So with the combination of Snapdragon 845, 6GB/8GB of RAM and OxygenOS, what do you get? You get an amazingly fast phone which will never disappoint you with whatever task you throw at it. Multitasking, switching between apps or playing games, everything works smoothly without lagging. 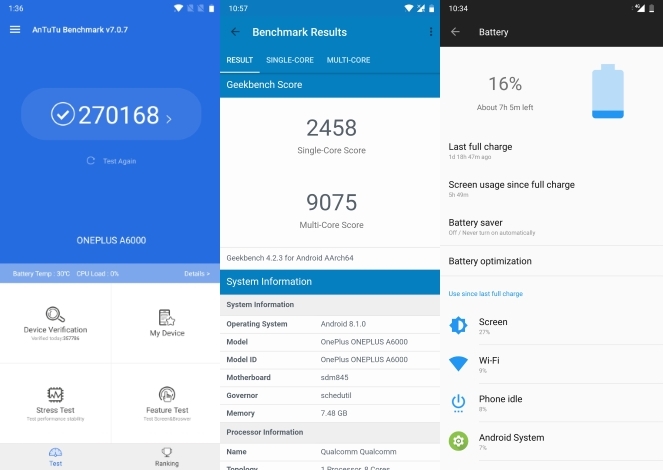 On Geekbench, OnePlus 6 achieved single-core score of 2,458 and multi-core score of 9,075. AnTuTu gave it a score of 2,70,168. OnePlus 6 is backed by the 3,300mAh battery which comes with Dash Charge just like the OnePlus 5 and the 5T. Battery backup was never an issue while using this phone, you will easily squeeze a day after single charge with some battery still left. With Dash charging, the phone reaches from zero to hundred percent in less than one and a half hour. However, the handset does not support wireless charging even after the inclusion of glass body. The company said that wireless charging is slow and we want to deliver our customers a great experience which Dash charging suffices. For unlocking the phone, there is also face unlock feature which is very quick. To unlock the phone, you have to wake the screen first either by double tapping on the display or by pressing the power button. After the screen is awake then you have to directly look into the camera and your phone will be unlocked. It looks like a long procedure while reading but all of this happens instantaneously. The face unlock feature doesn’t work in the dark but thanks to its fast fingerprint sensor, unlocking this phone was never an issue. Connectivity options include Wi-Fi 802.11ac, Bluetooth 5.0, NFC, 3.5mm headphone-jack, USB Type-C, and Location. 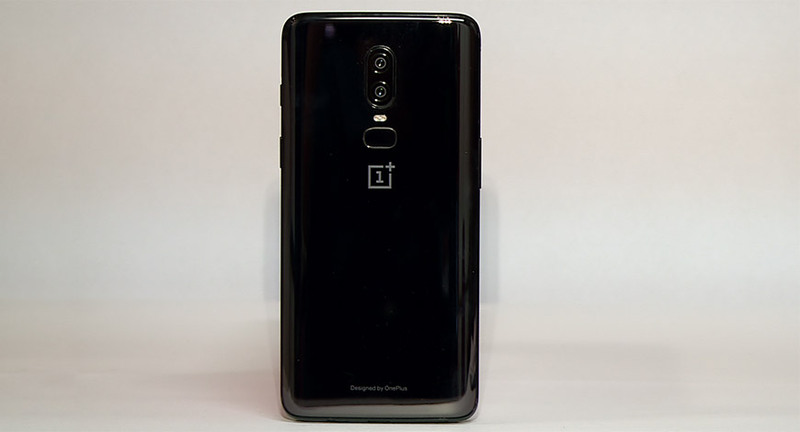 OnePlus 6 sports a dual camera setup at rear which includes 16-megapixels+20-megapixels sensors with dual LED flash, f/1.7 aperture, Portrait mode, HDR, and Pro mode. This seems similar to OnePlus 5T’s dual camera but that isn’t true. This year, the company has upgraded the primary 16-megapixels sensor of OnePlus 5T (Sony IMX398) to Sony IMX519 which has 1.22 μm pixel size (an increase of 19 percent), which results in sharper and clear images. The primary camera now also includes OIS and EIS. 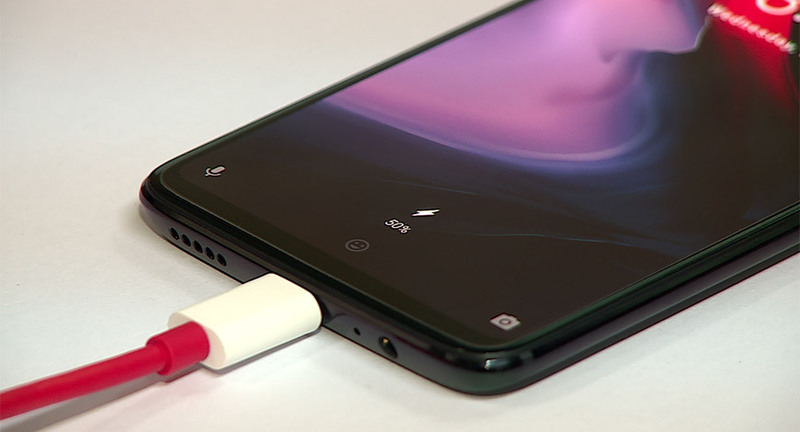 The secondary 20-megapixels rear sensor is same as OnePlus 5T’s Sony IMX376K with 1.0 μm pixel size which is used for depth enabling and low-light conditions. This year’s OnePlus flagship is capable of shooting 4K videos at 60fps but with a limit of five minutes. It can also record videos in super slow-motion with 1080p at 240fps and 720p at 480fps. On the front, there is a 16-megapixels selfie camera with 1.0 μm pixels, f/2.0 aperture, EIS, Portrait mode will also arrive soon after a software update. The front camera’s performance is good but it is quite similar to OnePlus 5T’s. The overall camera performance of OnePlus 6 is pretty solid but it is not up to the mark with other flagships and that is the only single thing where it lacks when compared to Galaxy S9 or Pixel 2. But don’t forget the price difference between OP 6 and these phones. Even though this phone lacks official IP rating, stereo speakers, high-resolution display, expandable storage, it is a complete package. OnePlus 6 is features top notch (display notch too!) design, hardware, solid camera and the latest software with timely updates, all of which with its affordable pricing puts in competition with the likes of other high-end smartphones. OnePlus has raised the bar higher with their new phone, it comes at a price which is almost half of Galaxy S9+ and Pixel 2 XL, and still it gets compared with the likes of these phones. If you are an OnePlus 5 or 5T user, you should probably skip the OnePlus 6 because those phones are still great there’s no need to upgrade. Others looking for something under 40k category, this is the best phone you can get right now.